The populous Dallas area puts strong demand on the long term care system. The latest census numbers state approximately 1.2 million people live in Dallas. This makes Dallas, Texas the ninth largest city in the U.S. and the third largest in the State of Texas. Further, almost 18% of Dallas households have one or more people who is 65 years of age or older. Between 2010 and 2030 the number of Americans will continue to grow as the “baby boomer” generation matures to age 65. Government statistics say about 70 percent of people over age 65 will need some type of long term care services during their lifetime. But this need for long term care does not only impact seniors. Forty percent of people currently receiving long term care services are ages 18 to 64. This can have a significant impact upon the family as almost one of every four U.S. households provides care to someone age 50 and older. Planning ahead for long term care is imperative as even a slight decline in health can make it impossible to buy insurance. Long term care costs are very expensive in Dallas at $235 per day for a private room in a nursing home. This makes the prospect of paying out of pocket for long term care costs in the Dallas daunting for all but the very wealthy. And those who plan ahead with long term care insurance won’t have to worry about paying out of pocket. Don’t make the mistake of planning on Medicare to pay for your long term care. Because, Medicare does not pay for nursing facility or home health care. Medicare only pays to help short-term recovery after a hospitalization. The person must also be under a doctor’s supervision to get Medicare reimbursement. 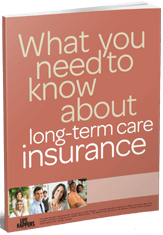 Request Texas Long Term Care Insurance Quotes! Price comparisons customized for your specific needs from top carriers such as Genworth, John Hancock, Transamerica, Mutual of Omaha, MassMutual and more. Financial stability reviews of each long term care insurance company’s ratings, size and claims paying experience.